Attorneys at Senak Keegan Gleason & Smith, Ltd., have extensive experience representing businesses and individuals in a variety of employment-related matters. 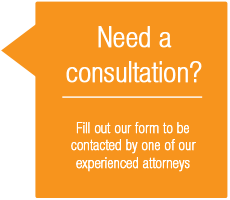 We have assisted clients with business counseling and transactions, responding to administrative proceedings, and prosecuting and defending claims in both state and federal court, at trial and on appeal. Our clients have included major corporations, small businesses, and current, former and prospective employees. The scope of our representation includes claims involving wrongful termination, sexual harassment, discrimination, enforcement of restrictive employment covenants, wage and hour disputes and environmental matters. We have litigated claims brought under Title VII of the Civil Rights Act of 1964, the Americans with Disabilities Act, the Civil Rights Act of 1991, the Age Discrimination in Employment Act, and the Family Medical Leave Act. Our representation has included managing administrative claims brought in the Equal Employment Opportunity Commission, the Illinois Department of Human Rights, the Illinois Department of Labor, and the Illinois Department of Employment Security. We have also represented clients in matters relating to enforcement of restive employment covenants, including alleged violations of confidentiality agreements, non-compete agreements, and non-solicitation agreements. This includes representing clients in the drafting and negotiation of employment agreements, and initiating and defending claims to enforce these restrictive covenants through temporary restraining orders and preliminary injunctions. We also provide business counseling to companies and individuals from the pre-hiring phase through the exit interview. For newer and fast growing companies that are often vulnerable to employment practice claims because the management team has not yet implemented procedures for hiring, disciplining, and terminating employees, we provide assistance in drafting employment agreements and personnel policies that provide certainty without creating implied contractual duties or collateral liability. We also make available to our clients alternative fee structures, including flat fee agreements, declining hourly rate agreements and deferred hourly rate agreements. These alternatives to the traditional billable hour are often attractive to new businesses seeking to manage risk and control costs during their pre-organization and formative periods of development. Senak Keegan Gleason & Smith, Ltd. Copyright 2019 Senak, Keegan, Gleason, & Smith Ltd.